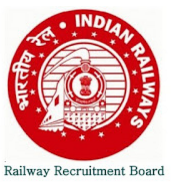 North Central Railway, Allahabad invites application from eligible Doctors of Open Market as well as Retired Government Medical Officers of State Government/ Central Government/ IRMS officers (Railways) to Walk in Interview for the post of full-time Contract Medical Practitioners (CMP) Specialist / General Duty Doctors on Contract basis for a duration of one year. The Walk in Interview scheduled to be held on 29th February 2016. Venue : Central Hospital, North Central Railway, Nawab Yusuf Road, Allahabad. The Willing Candidate must submit their applications in duplicate on the prescribed proforma enclosed latest by 9.30 A.M. at the venue. The candidates should bring their application form along with Original and Attested copies of all Certificates & Mark Sheets, duly filled up on the prescribed format with them.